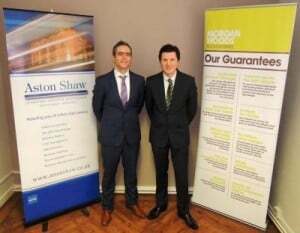 Long established leading accountancy firm, Aston Shaw and fast growing newcomer Morgan Woods have joined forces; bringing together more than 50 years of experience in servicing individuals and businesses both big and small across East Anglia. The merger, which is due to take place in August 2014, will create an exciting new entity, operating from 5 offices (Norwich, Ipswich, Cambridge, Dereham and Great Yarmouth) and employing 70 staff. Jointly heading up the newly combined firm will be Mark Noakes (former Managing Director of Morgan Woods) and Dominic Shaw (former Director of Aston Shaw). Under the terms of the deal, the new firm will maintain the name of Aston Shaw. However the service offering will represent the combined range of specialisms and capabilities from both firms – a comprehensive selection of accounting, audit and tax advisory services; along with targeted strategic business guidance and support. A key motive behind this venture is to amalgamate the traditional expertise and experience of Aston Shaw, with the innovative and modern practices embraced by Morgan Woods – ultimately resulting in the provision of a more efficient and comprehensive service for both individuals and businesses operating in the modern business environment. The changing nature of the industry has been one of the main driving forces behind the merger and both firms are among the few that have been able to retain value, despite the economic climate. The union plays an important role in the firm’s expansion strategy, enabling the impressive growth rate experienced over the last year to continue. Through economies of scale as well as the exchange and consolidation of expertise and resources – the quality and efficiency of service can be optimised. The new firm’s geographic footprint will also offer clients more accessibility to services and personnel. The announcement of the merger comes at a time when the accountancy market is entering a period of rapid growth after the economic downturn back in 2008. Based on last year’s UK market report published by Key Note, it is estimated that between 2013 and 2017 the market for accountancy services will grow by nearly 20% and it would seem that Aston Shaw is ahead of the curve. It is expected to take 3 months to complete the merger process; however business will continue as normal during the transition period.